What is Kava? It is a drink from the South Pacific made from the roots of the kava plant. It is a non-alcoholic, non-addictive, relaxing beverage known for it's sedative, psychoactive and euphoric effects. Kava has been used ceremonially for thousands of years in Fiji, Tonga, Vanuatu, Hawaii & Samoa as a way of promoting peace, friendship and a higher level of consciousness. Once you try it you'll see why kava is becoming the new beverage of choice at many bars across the country. My husband and I stumbled on kava as an excellent alternative to alcohol. We both started experiencing the negative effects of alcohol and decided we needed a change. 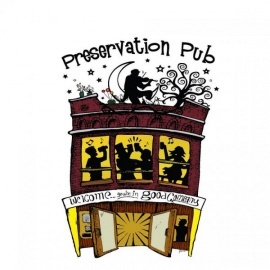 We had heard about kava as an alcohol alternative so we decided to give it a try. It has quickly become our beverage of choice. Instead of nursing a hangover on Saturday/Sunday mornings, we feel great and ready to enjoy our active lifestyle. 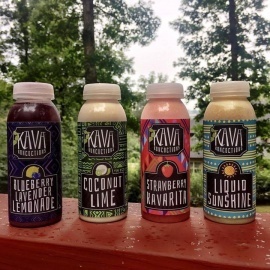 Kava naturally tastes earthy/bitter so that is why I created Kava Koncoctions....to make it taste DELICIOUS. 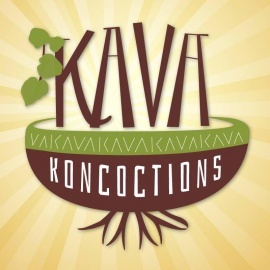 Try a Kava Koncoctions today!